Do you prefer not to use a neck/shoulder strap because it gets in your way? 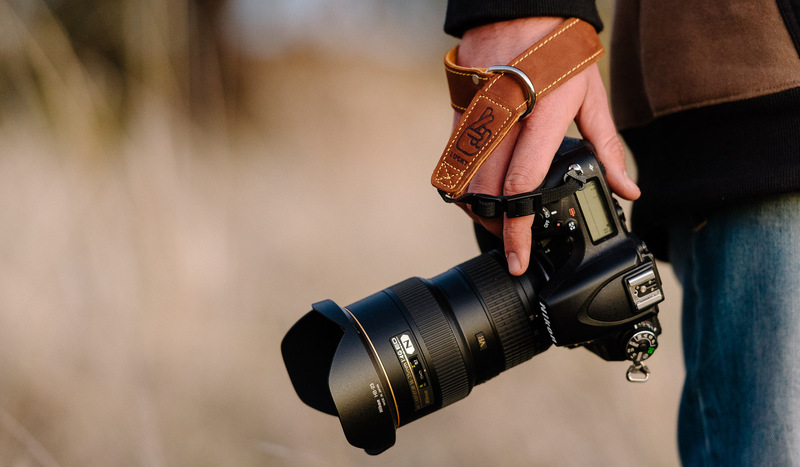 Our new wrist straps are the perfect way to make sure your camera stays connected to you even if you drop it! This strap is the same size as our Slim 30 neck/shoulder strap so it is 30mm wide. This is perfect to be comfortable around your wrist and strong enough for pro sized cameras and lenses. It connects to one camera strap point by 10mm webbing with an adjustable slide buckle. The leather strap threads through its own metal D ring allowing you to quickly tighten or loosen the strap around your wrist. 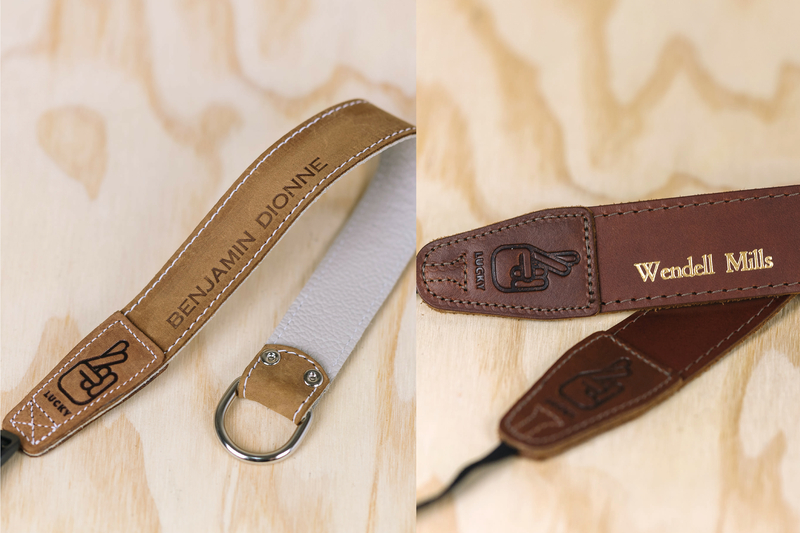 Like all of our straps you can customise these with personalised embossing of your name, business ect. This can make it the perfect present for the photographer in your life. This strap will work with most cameras, but as it is a 10mm webbing connection you will need a ring or slot of that size. To put it simply, yes! Wrist straps are one size fits all so you only have to decide if you want our standard 30mm wide wrist strap or our thinner Simple 20 Wrist strap that is 20mm wide. We have designed these straps to be worn all day with the heaviest pro DSLR setups so you can rest assured they are strong enough. If you are looking for a weight I have lifted a 16kg kettlebell with a wrist strap without it breaking, but I hope your camera is not that heavy! I love my new wrist strap been using it a few weeks now and the feeling is awesome and makes me have a more secure feeling without having to have a neck strap. Recently added another strap, this time ( strap No 5) a 30mm black wrist strap. As ever, very happy with these Lucky straps. They are comfortable and beautifully made and the service is great. My wife, daughter and I are now unlikely to use any other brand. Purchased as a Christmas present for my husband, previously had purchased an engraved neck strap, arrived very quickly and great quality, “it will take a little time to get used to the wrist strap over the neck” was the comment from hubby. So good, I bought a second one! I purchased one of these some time ago for my new DSLR and despite the fact it looked oversized when it arrived, I found it to be exceptionally comfortable (and robust). So, eventually I gave in, and bought one for my other camera as well. It comes very well presented - and as such would make a great gift if you know a deserving photographer. This is the most comfortable and awesome looking wrist strap I have owned. It was produced and delivered in amazingly quick time and the embossing looks phenomenal. I've been through a few wrist straps but I don't see this one breaking ever! Do yourself a favour and buy one ... NOW!